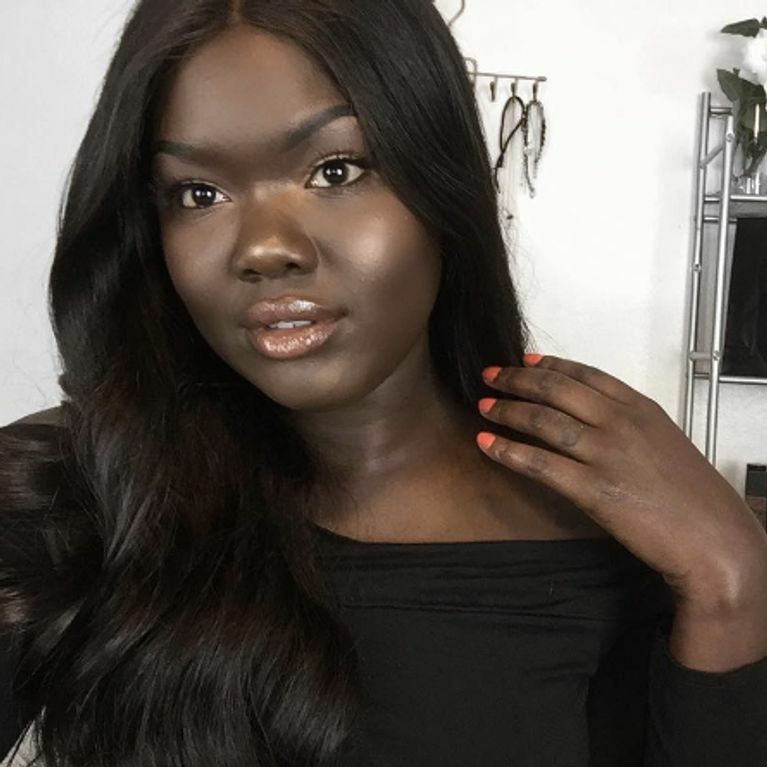 If you're in need of a new badass role model, we've got just the lady: meet Nyma Tang, whose beauty videos not only show you how to contour, but fight back against colourism in the beauty industry at the same damn time. Ladies, we can attest that one of the worst things to do whilst shopping is trying to find the right foundation for you. Do you get matte, do you get dewy, and will the foundation still suit your skin colour in winter? Argh! Don't get me wrong, there's nothing better than getting a great foundation, but choosing one? It's hard, and time consuming, and expensive. Well, spare a thought for beauty blogger Nyma Tang, who can't even find a foundation in her shade. In a series on her YouTube channel, she tries the darkest makeup shades beauty brands have to offer, and reviews it. The aim of the series is to help women with darker skin find a foundation that will work with their skin tone, but it also highlights a much bigger issue - where are all the foundations for dark-skinned women? So far in her series, she has reviewed our favourite high street brands - Maybelline, Nars, Tarte - and also some cult classics, like Kim Kardashian's KKW Beauty Creme Contour Kit, giving a review that is fair and honest, whilst also explaining the problems with this colourism to those who may not have to experience it, in turn also calling out the beauty brands for failing to create foundations for darker skin tones. In her KKW Beauty Creme Contour video, she even explains how at first she didn't want to make the video - she could already tell the darkest shade wasn't going to be dark enough. "When products that are considered 'contour' launch, the deeper side of the spectrum is completely left out most of the time," she explained. "I was compelled to do this not only because a lot of you guys wanted me to do it, but because if I didn't do it, the darker side of the spectrum is just going to keep on going unnoticed." "​I know there's a lot of dark-skinned girls that can understand and relate to this video. It can be really disheartening to people to not be included, to not be considered — it would make you feel like there's something wrong with you. And I'm here to say, there's nothing wrong with you."